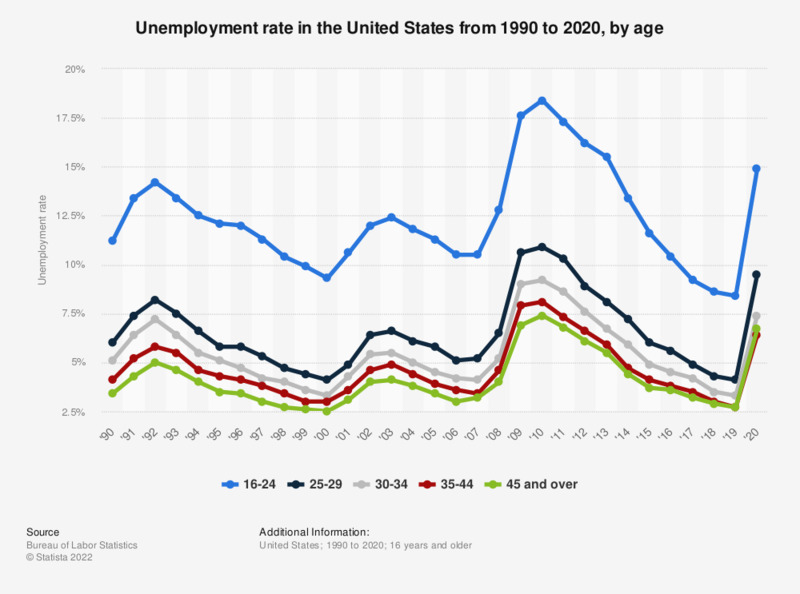 This statistic displays the unemployment rate in the United States by age. In 2018, the unemployment rate of the workforce of 45 years and older decreased to 2.9 percent from 7.4 percent in 2010. Unemployment among young adults (age 16-24) was still more than twice the national rate at 8.6 percent. For monthly updates on unemployment in the United States visit either the monthly national unemployment rate statistic here, or the monthly state unemployment rate statistic here.